¿Se podrá decodificar la imagen usando una webcam? Si se puede pero necesitas el algoritmo para decodificar la imagen. Excelente,!! ¿Donde puedo encontrar el algoritmo para decodificar la imagen? ¿alguna idea? Why use RAR for a Windows App when Windows can’t handle it? John , sometimes I forgot create a zip file instead of rar. the link was updated in zip format now. the compilation can´t find the PngImage file!!! where is the file? I have tried to change from PngImage to GIFImage, but the same error appears. Delphi 7 does not support the PNG format directly, you must use a third-party component to load png images. About the gif format should be work in Delphi 7. Which component are you using to load the image? Are you tried downloading the image to a file and check the content with a external viewer? I’m just using the code, that can be downloaded above on this site. Check this link (binaries and sources included) for a Delphi 7 project which uses the TGifImage component from Anders Melanders, this demo app download and display a QrImage in gif format. 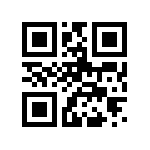 The company I work for has just released an open source Delphi QR code generator called DelphiZXingQRCode. 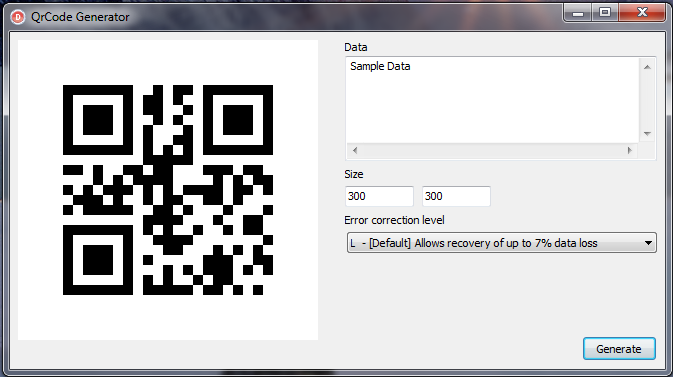 It’s a Delphi port of a Java barcode image processing library called ZXing.